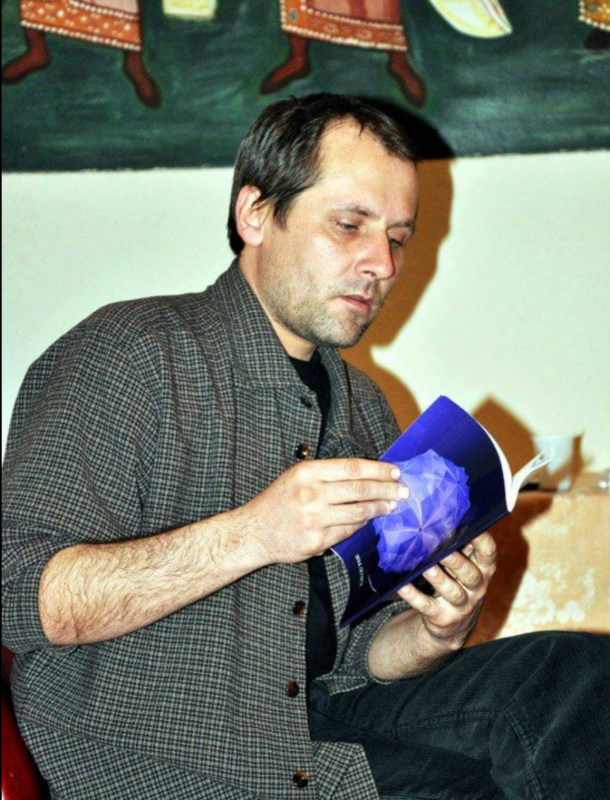 Romanian poet and artist Florin Dan Prodan (1976) is the founder of the literature and art group Zidul de Hartie. As a poet, he has published among other books, On the Road. travel poems (Shambhala Press, Kathmandu, 2012) and The Facebook Poems (Cartea Romaneasca, Bucharest, 2017). His poems are translated into Spanish, German, Korean, Ukrainian and French. In English, he has been published in two poetry anthologies and in magazines including Plume. Florin runs two artists and writer residency program in Romania and Kyrgyzstan. As a visual artist, he has exhibited in galleries and art spaces throughout Europe and Asia. Florin will present a project titled Rotten Love Tomato: An Art Installation and Poetry Reading which includes a launch of his poems Rotten Love Tomato and Other Poems in a book form. This will be part of a night of Romanian themed work presented on July 27th at studio DE-CONSTRUKT in Red Hook. The installation (torn paper and broken glass) is an exploration into the poems, tweets, phone and Facebook messages between the rise and fall of a love and creative relationship of two poets, one from Romania and the other from the US that had different cultural backgrounds, ars poetica and life views.